Speaking further in a statement issued to newsmen, PDP’s spokesman, Kola Ologbodiyan said Buhari was given a political certificate. The Peoples Democratic Party (PDP) has insisted that President Buhari has no school certificate. The party’s reaction is coming on the heels of the presentation of an attestation certificate to the president by the West Africa Examination Council (WAEC). On Friday, November 2, 2018, the registrar of WAEC, Dr. Uyi Uwadiae, presented the certificate to the president at the State house, Abuja. He said “it is a tragicomedy. We never expected Mr. President to dramatically come this low because you cannot have a certificate and be calling it an attestation. “What are they attesting to? We stand by our position that Mr. President has no school certificate. it is simply a political certificate. We have said that the Buhari presidency and his handlers are always fretting at the mention of a certificate. “if Mr. President has a certificate, why did he not use it in 2015 election? Why is the certificate suddenly emerging few months to the election? And have you checked the photograph that was attached to the certificate? In 1961, was it the requirement of WAEC to have a passport attached to school certificate? “Even in our own generation, was a condition in WAEC that you must submit your passport to be attached to your certificate? They should come off it. It’s too low. 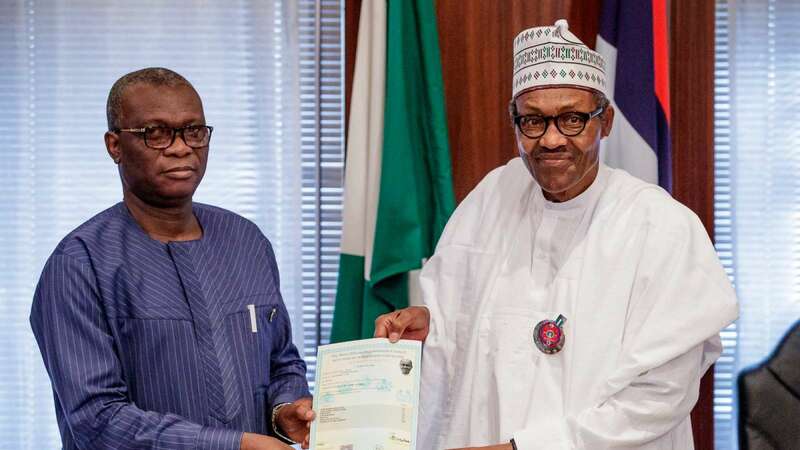 Also, the Coalition of United Political Parties (CUPP) has accused WAEC of manufacturing a certificate for the President. Buhari had earlier sworn an affidavit saying that his credentials are with the Secretary of the Military Board. Presidential spokesman, Femi Adesina had earlier said that the issue of the President’s WAEC certificate has been laid to rest, describing those talking about it as jobless. Speaking on the issue of the President&apos;s WAEC certificate, a lawyer, Dr Kayode Ajulo said that Buhari can run for President with a primary six certificate. According to Ajulo, the President is qualified by Law to contest the 2019 presidential election.